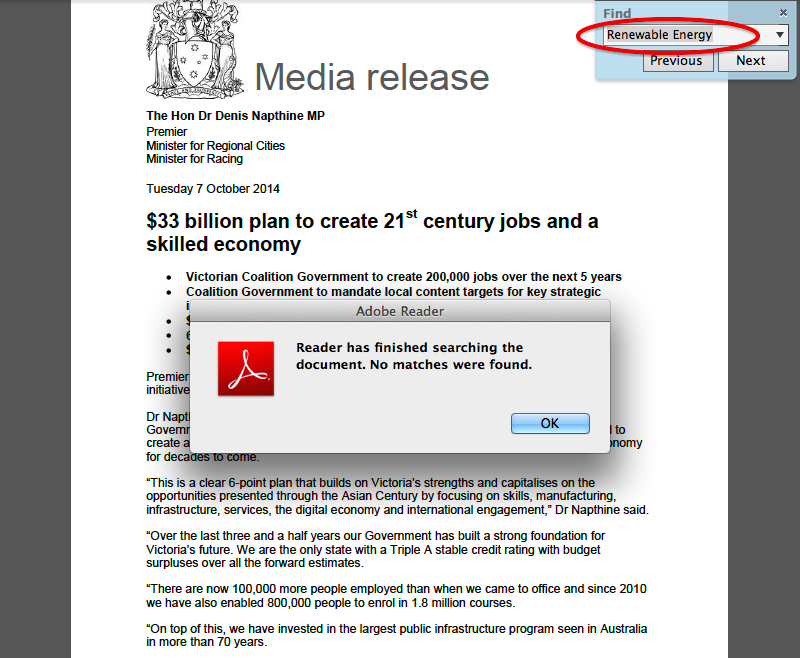 Renewable energy is omitted from the Napthine government’s ’21st Century’ jobs plan released today. The Napthine government’s Victorian Jobs in the 21st Century policy has been released a day after the Labor party opposition’s jobs plan identified renewable energy as a growth sector. Renewable energy is a high-growth, job-creating sector globally, yet the Napthine government is missing when it comes to renewable energy jobs here in Victoria. It’s puzzling that the government’s jobs plan fails to mention the sector. You can’t have a 21st Century jobs plan without encouraging renewable energy. 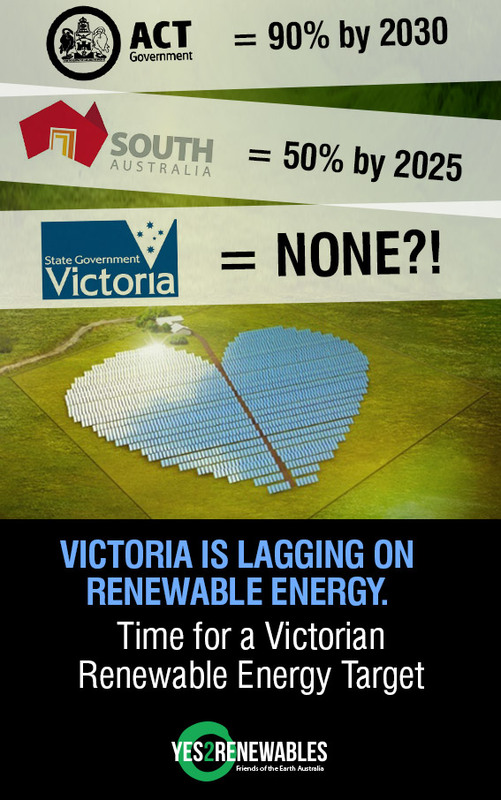 The Napthine government has missed an opportunity to restore bipartisan support for renewable energy in Victoria. The Napthine government’s policy is out of step with their federal counterparts who seek a bipartisan deal on the Renewable Energy Target. Premier Napthine could unleash investment and create jobs in Victoria by repealing the state’s anti-wind farm laws and setting a state Renewable Energy Target. The Victorian Labor Party and The Greens have pledged to rip up the anti-wind farm laws that have cost jobs and investment in regional Victoria. Clean Energy Council analysis shows there is potential for 6,400 renewable energy jobs in the state — 750 in the Premiers own electorate. Renewable energy company Keppel Prince is the second largest employer in Portland which is located in Denis Napthine’s seat. Victoria’s economy can benefit from the shift to renewables, but only with political leadership. It’s time for the Premier to put jobs first. Credible jobs policy will drive investment in renewables. And the best way to do that is a Victorian Renewable Energy Target.